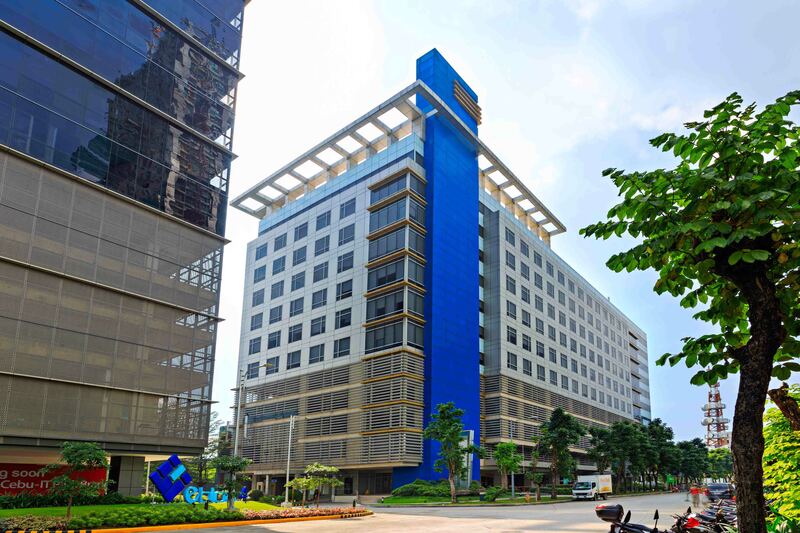 eBloc Tower 1 | Cebu Holdings, Inc.
A 12-storey mid-rise office building, the eBloc Tower was completed in 2009 and is now host to two of the biggest global BPO or IT companies. The first among many projects to be pushed for Cebu’s twin-win industries – Information and Communication Technology (ICT) and tourism – the eBloc Tower is also a project of the Asian i-Office Properties Inc. (AiO). Located along Jose Ma. Del Mar Avenue of Cebu I.T. Park, the eBloc Tower sits on a 4,432-square meter lot. 4 open air podium parking levels that accommodates 323 appurtenant parking slots for both retail and office needs.